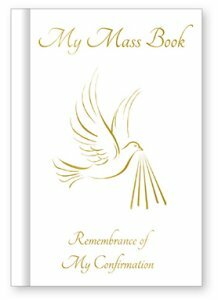 CATHOLIC GIFT SHOP LTD - White Souvenir of Confirmation Hardback - My Mass Book. White Souvenir of Confirmation Hardback - My Mass Book. White souvenir of confirmation hardback mass book with 128 pages.